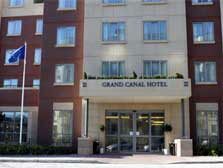 Grand Canal Hotel opened in 2004 and its 142 bedrooms offer a warm and friendly atmosphere. Its excellent location in Georgian Dublin in the affluent Ballsbridge area makes the hotel the perfect place to discover Dublin, city centre and Trinity College are accessible on foot in 15 minutes. A car park (secured with a barrier) is located directly at the hotel and is complimentary for guests. 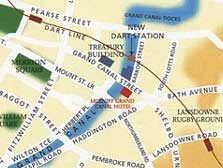 DART station ‘Grand Canal Dock’ is across the road, which is ideal for daytrips to the sea side of Dublin (beach, cliff walks, etc) as well as North & South County Dublin, Guests can enjoy full Irish or continental breakfast in Epic Restaurant or a snack/beverage in the Gasworks Bar. Canal Express Coffee Bar offers a variety of freshly brewed coffees or delicious smoothies on the run. 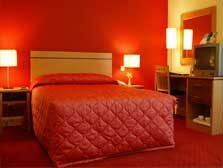 Grand Canal Hotel opened in 2004 and its 142 bedrooms offer a warm and friendly atmosphere. All bedrooms are ensuite and include Egyptian cotton duvets, cable TV, high speed internet access, WiFi, DD telephone, ironing facilities, hairdryer, tea & coffee making facilities, work desk with lamp and wake up service. All rooms are beautifully furnished to a high standard. Rooms for the physically challenged are also available. At Grand Canal Hotel guests have the choice between Epic Restaurant, the gasworksbar and Canal Express. 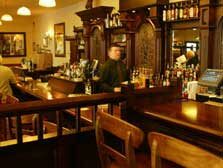 You can enjoy full Irish or continental breakfast in Epic Restaurant or a snack/beverage in the Gasworks Bar. Canal Express Coffee Bar offers a variety of freshly brewed coffees or delicious smoothies on the run. The hotel is very secure. Floors and rooms are only accessible with personal key card. Parking directly at the hotel is free (car park secured with a barrier). Grand Canal Hotel’s excellent location in Georgian Dublin in the affluent Ballsbridge area makes the hotel the perfect place to discover Dublin. The city centre, Grafton Street and Trinity College are accessible on foot in only 15 minutes. DART station ‘Grand Canal Dock’ is across the road, which is ideal for daytrips to the sea side of Dublin (beach, cliff walks, etc.) and ideal to reach Croke Park or Clontarf. Lansdowne Road Stadium and the RDS are in 10 minute walking distance. 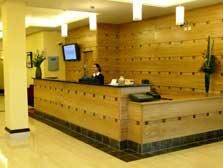 A car park (secured with a barrier) is located directly at the hotel and is complimentary for guests.